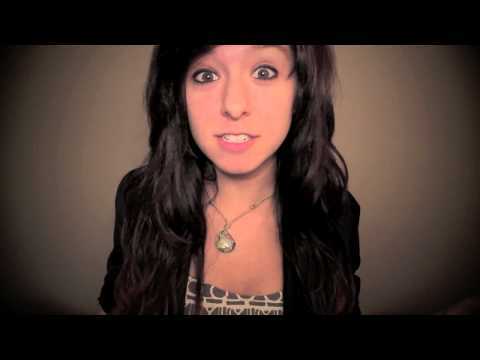 Christina will be doing an interactive Christmas concert for Team Grimmie on December 13th. And the best thing is… it’s gonna be on the internet, so anyone can go! More precisely, it’s gonna be a 30 minute show on StageIt. It’s a “pay what you can” show and the suggested payment amount is USD 5,00. Half of whatever Christina makes from this show will go to the east coast because of the hurricane (Christina is from the east coast herself). As an additional incentive, there will be prizes for the 5 top tippers. Make sure to Get your ticket on StageIt! Hey guys! This is where I’m performing my live half-hour Christmas concert for you guys! Yu gotta have a ticket to watch it, so please hop on board and join me for some of my favorite Christmas songs! I’d love to take requests as well during the show. YU GUYS RAWWK!!! Don’t forget, you need to have a ticket to join the show. So make sure to Get your ticket on StageIt!